When we smile, lines appear around our eyes and mouth. At a young age these disappear as soon as we stop smiling. However, when we get older, these lines remain resulting in the ageing effect. These lines or wrinkles have a detrimental effect on our mental health as we look at ourselves in the mirror every day. 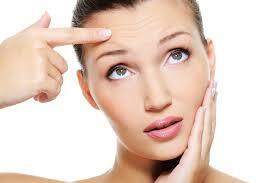 For both men and women, wrinkles and the overall signs of ageing are unwanted. So, what can be done about this? Previously, plastic surgery was the only drastic measure to combat these lines, but now there is Juvederm. Juvederm is what is known as a ‘filler’. It doesn’t work on the surface like wall filler, but below the skin to reduce the lines by returning the skin to a smooth even surface. It works by injecting hyaluronic acid which induces the body to create a substance called ‘collagen’. It is this natural substance that adds fullness to the skin and therefore reduces the wrinkling and sagginess caused through ageing. Hyaluronic acid is naturally found in our bodies, but as we age, this substance reduces which in turn stops the collagen production. The result of this is an increase in wrinkles. So, by returning the hyaluronic acid, the body is kick started into making the collagen for our skin again and the wrinkles disappear. The good news is that the administration of Juvederm last for up to 2 years and the procedure is relatively short. The substance is injected into the affected areas and should be massaged to distribute the fluid in order not to cause swelling or an uneven distribution of the injected fluid. This should take between 15 and 60 minutes to complete the whole procedure of injections and massaging. Because the injections are just below the skin, the only possible side effects are those that can normally be caused from injections. These are maybe some redness or a little tenderness where the skin has been penetrated by the needle. However, there is little concern regarding this as these effects, if experienced, will pass within 2 to 4 weeks. It is important to note that the injections must be just below the skin and not into a blood vessel. It is this error where serious harm can be caused like changes to vision, scarring or even stroke. The great aspect of this product is that the results are often immediately visible. The hyaluronic acid acts immediately with the addition of continuing to produce more collagen for up to 2 years. The only recommendations after the procedure are that alcohol consumption and make up are refrained for one day. So, for a short application and up to 2 years of benefit, this product can instantly reduce the appearance of ageing for your overall well-being.